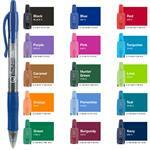 Make your next promotional giveaway sustainable with the Pilot Bottle 2 Pen Ball Point Pen! 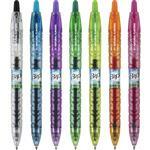 Made from 86% recycled plastic, this pen makes it possible to be eco-friendly on a budget. Ink is smear-resistent and smooth. 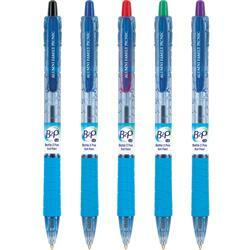 A comfortable latex-free rubber grip for writing comfort. 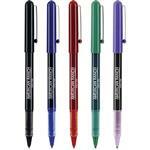 Comes in both fine and medium point with a variety of ink colors. Inquire today for your next promotional giveawy, event, or tradeshow! Production Times Available: 5 to 7 working days standard. Typical Imprint Area(s): 1" x 3/16"
Fine point available with black, blue, and red ink.